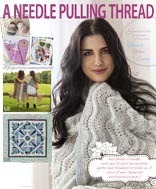 WonderFil Thread Canada is jumping on board with us to celebrate our first birthday at The Needle & Thread Network. Thank you WonderFil! I love these threads. 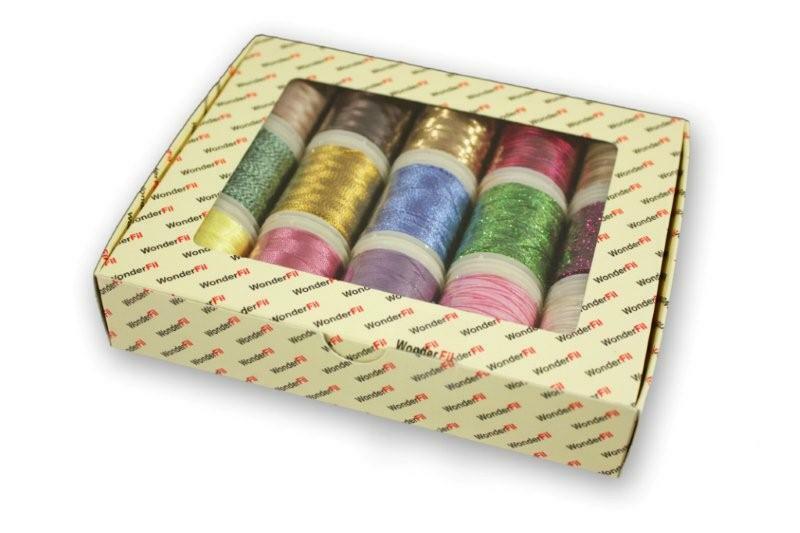 One lucky winner will get a sample pack of the different threads they make - sparkly, shiny, variegated, thick & thin... cotton / rayon / ultra thin invisible poly... It's awesome! Some of the thicker threads can even be used for crochet or bobbin work. You can samples of how to use these on their Facebook page HERE. Their Facebook page is full of useful tutorials. This is the prize - but please note that the colors won't be exactly as the ones shown above. So... if you are a follower of this blog (yes - including Rita and Jackie), you leave a comment as one entry. For a second entry, please go like WonderFil on Facebook and comment back here to let us know. The randomly chosen winner of this contest and the other giveaways offered this week will be announced on Sunday. All contests will close Saturday midnight. Sound good? GOOD LUCK, and THANK YOU WONDERFIL! It’s a good thing there is a somewhat loose format to follow for these Feature Friday blog posts or I would go on for days and probably say nothing! That means I like to talk and I like to write, I like to write A LOT! WHAT IS YOUR BLOG NAME AND BLOG ADDRESS? WHERE ARE YOU FROM, IN CANADA? Currently I live in Abbotsford, BC, which is exactly where I should have been since the beginning, but I started out on the edge of Winnipeg, MB, spent my teen years on a farm near Lockport, MB and through planning and design married a fellow from the big city, Winnipeg, MB who was willing to follow me anywhere and all I had to do was blow in his ear! So when we went to Victoria, BC at Christmas in 1982 and realized that one doesn’t have to shovel snow or shiver for 6 months of the year, I blew in his ear and we determined that being warm and happy but poor was better than being cold and miserable and not quite so poor. 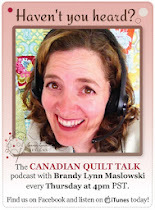 After a few little hops around the coast, we settled in Abbotsford which perfectly suited us weather wise and financially and had and still has a great QUILT GUILD for me to be part of! WHAT IS YOUR CRAFT? And HOW LONG HAVE YOU BEEN DOING THIS? And HOW DID IT ALL START? Like most kids I started with a pencil and crayons and water paints. My parents and grandparents were never stuck for what to give me at Christmas or my birthday, paper, pens, pencils, paint by number kits (oh boy! I sure loved those!) even books on How to Draw! My Mother taught me to sew doll clothes and how to work with a pattern so eventually I was making all my school dresses. My grandmothers taught me embroidery and crochet and knitting and cross stitch and my Aunt Vera introduced me to quilting by showing me applique and I made a “Colonial Lady” block as a gift for my Mother at Christmas when I was about 10 years old. I have a “snip” I say about my house and home. “There has not been a bed covering in my house that was not made by me, since 1975!” So making quilts for myself, for friends, for relatives and for charity has been my main craft for a very long time. It is not just quilts, I make pillows and tote bags (I don’t think I have bought a purse in 20 years!) and anything else that can be sewn either by hand or machine. WHAT ARE YOUR TOP 3 PERSONAL ACCOMPLISHMENTS IN THE PAST YEAR? I have to say, I am not really a goal orientated person. I don’t make lists or keep a schedule or put unnecessary stress upon myself by making deadlines for accomplishments. I am very lucky in that I have not had to go and work for wages and have someone else tell me what to do, how to do it and when it has to be done by, since the turn or the century (2000), although before that I did work as a bookkeeper and service scheduler (it is easy to make schedules for other people!). I do get things done though! 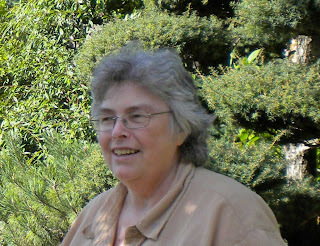 This summer I have kept myself busy with a self imposed challenge that I called THE SUPER SUMMER SNIPPY CHALLENGE and have posted my progress on my blog through the weeks since mid May 2012 til now. I have also worked on a few projects of my own. One is a Lap size quilt using a Jelly Roll of French General fabrics that I won at my guild’s annual retreat--there really is a trick to planning and using 2.5 inch wide strips in a way that pleases the eye and so that no further fabric needs to be purchased! As to Future Goals, like I said, I don’t look too far ahead or plan or make goals that might fail. The world around me is so changeable, I like to be ready for whatever comes along. I am working on a few ongoing projects that keep my interest over the long term. 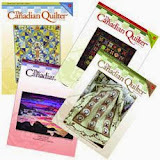 You will also see a renewal of my Miss Snips Notebook column for the Canadian Quilters Association, not in the magazine but on the Members Only section of the CQA website starting in September 2012. I am writing stories about growing up in the 1960’s, similar to Laura Ingalls Wilders book Little House on the Prairie and I would someday like to compile them into a book - even if I have to self publish! I have yet to make my QUILT MASTERPIECE, although I might be working on it right now, one can never be sure which quilt is the Masterpiece! This is the third sponsored give away for The Needle & Thread Network's very first birthday party. 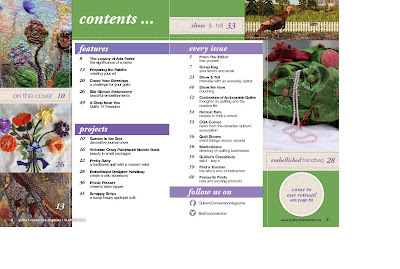 We've had 2 terrific magazine subscriptions... and now how about some fabric!? Or quilt batting? Or patterns and kits? You got it! Hamels Fabrics out of B.C. is graciously offering $30 toward any purchase from their online store. If you've ever been to a big quilt show, Hamels is there! They typically have the BIGGEST booth at our local quilt shows. They sell some hooking and felting supplies as well, along with sewing notions. They carry gorgeous batiks and Moda precuts. Check them out! Have a great day, and thank you for celebrating with us. 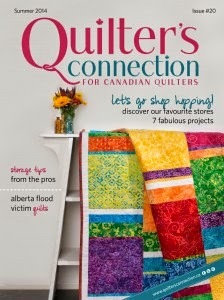 QC magazine is a newer, fast-growing magazine for and by Canadian quilters. Thank you so much for the subscription! ANYONE is welcome to enter, regardless of where you live. 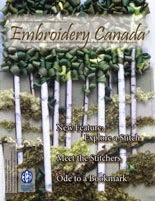 The magazine content, designs, and advertising is Canadian. We think you'll love it! * * * You can enter once by leaving a comment telling us you follow this blog. * * * You can enter a second time by leaving another comment that you "like" QC magazine on facebook (click to link, like, and then come back here to enter). One randomly chosen winner will be announced by the end of the week.